I’m thankful for our home. It isn’t the biggest house on the block or the fanciest one in town, but it’s super cute and does the job. Not everyone has a roof over their heads, especially after Hurricane Sandy. So I’m feeling extra appreciative of ours. I am so thankful for my jobs. I sell Thirty One and Scentsy. I love both of them so much. LOVE the products, love the companies, love the people I get to meet because of them. I mean, I party for a living! Who gets to say that? And on top of earning a paycheck just by hanging out with cool women, I also get lots of free products. 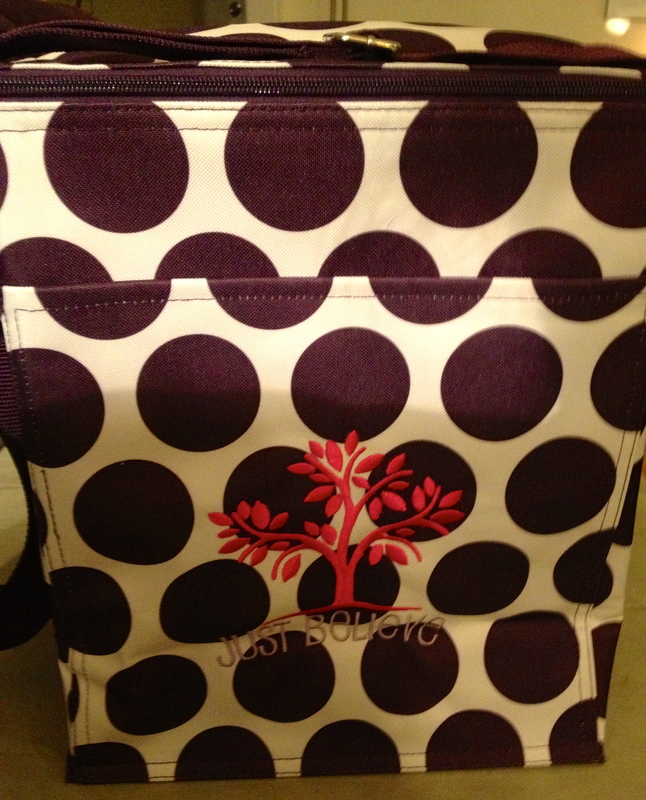 Like check out the new Picnic Thermal Tote I earned for free just by submitting a party! I love the flexible hours too. I’m going to be able to continue selling when the kids come home because I make my own schedule. I’ve also met wonderful people who also sell Thirty One and Scentsy. I’ve made friends I’ll have forever. All from fun jobs!